Registration of your Card is quick and easy. Click here to register your card over a secure connection. 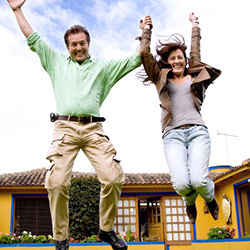 You will be redirected to the new Onyx Savings Card website, which accepts Glad2BHome cards. With your Cents of Community Neighborhood Discount Card you get the convenience of shopping, dining, entertaining and purchasing services within your community with the added advantage of receiving gift certificates, discounts and special promotions on all of the things you want or need. But, you must have the Card. Simply submit a request today and we will send the Card to you immediately FREE of CHARGE. Your card can be used at participating sponsors to collectively save $100's, even $1,000's, on a wide range of products and services. 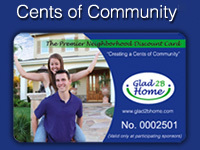 Cents of Community℠ and Creating a Cents of Community℠ are service marks of Glad2BHome, LLC.